Or rather, the ill-kept, uncolonised country. The best kind of rural is when a railway runs through it. It’s a mark of progress. No matter how remote you feel or how abandoned you seem, you’ll always be reassured in the countryside when you hear the sound of a train or catch a glimpse of some tracks. It means others have come this way. It means civilisation. The Underground does this to the otherwise unsettling wilds of Buckinghamshire. 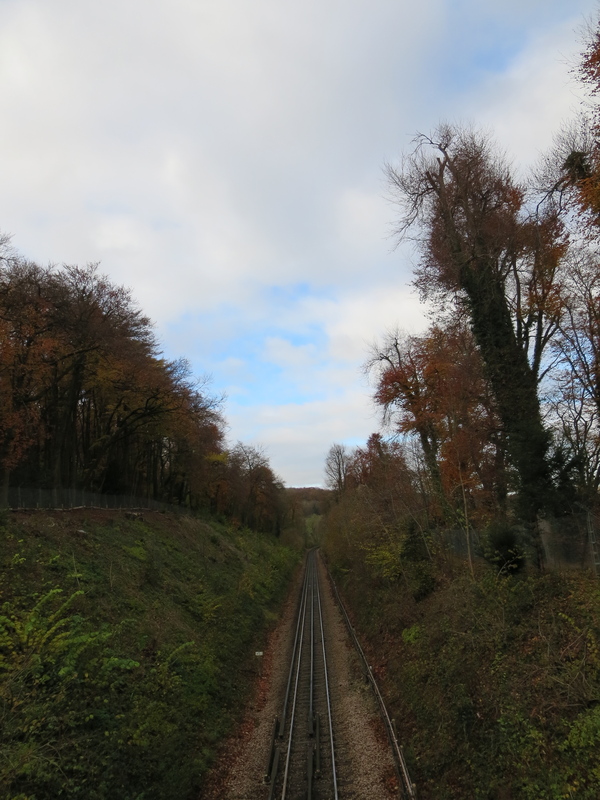 The line from Chesham to Chalfont & Latimer runs around the hem of the Chilterns, but doesn’t dare venture up its skirts. This is just as well. Any further out of London and you’d be in Tring, the sort of place so typical of Middle England that Instant Sunshine wrote a song about it. At just under four miles, this is the longest stretch of Underground between two adjacent stations on the entire network. It doesn’t feel that long, however, because of its novelty. A ride between Highgate and Archway can feel twice as long as this, thanks to the unending blackness and occasional unexplained halt. At least if you get held up out here, you can watch the wild rabbits and buzzards. 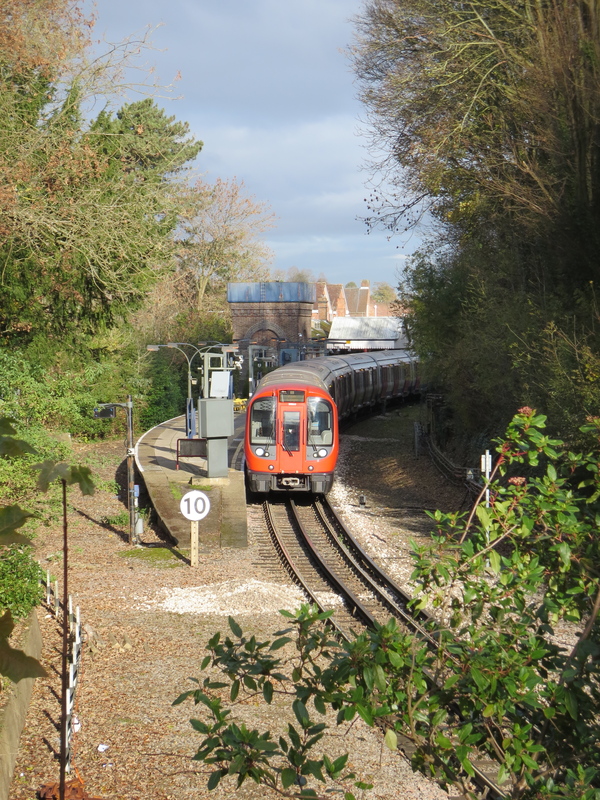 Single tracks run almost all the way to Chalfont & Latimer, which heightens the novelty yet further. For all its pastoral pretensions, however, you’re never far from cultivation. A couple of feet at best, in fact. 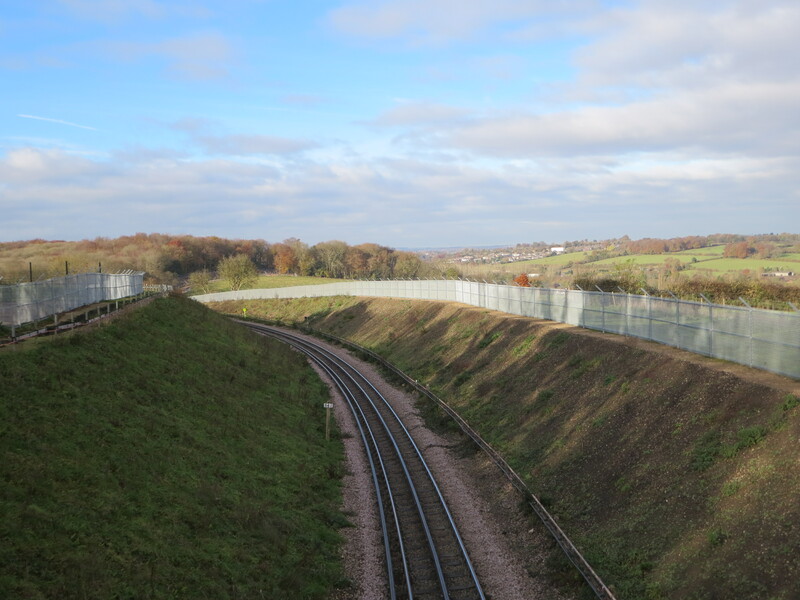 The line is very well maintained, and has just had a load of new fencing installed. For some – i.e., me – this is the best of both worlds: a taste of the country, but not on its own terms. There’s no direct way to follow the course of the line on foot. 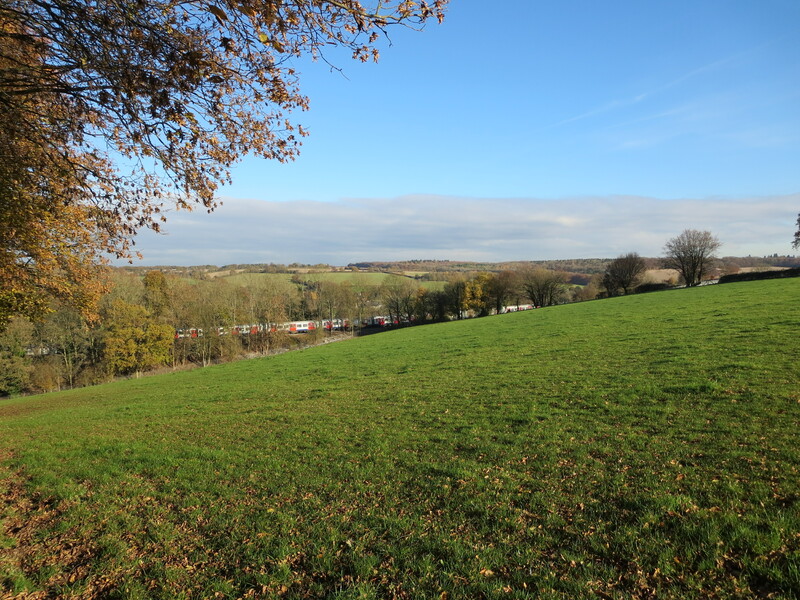 A stroll between stations will take you meandering through farms and woodland, across new housing developments and along minor roads with no pavements but dozens of hidden bends. People with metal detectors or dog-walkers with half a dozen beasts may greet you with a polite but slightly clipped pleasantry. There’s no such place as Chalfont and Latimer. The station services a number of villages, including the plum sitcom punchline of Chalfont St Giles. But any location that shares a name with Nigel Havers and Tony Britton’s characters in Don’t Wait Up can’t be all bad. 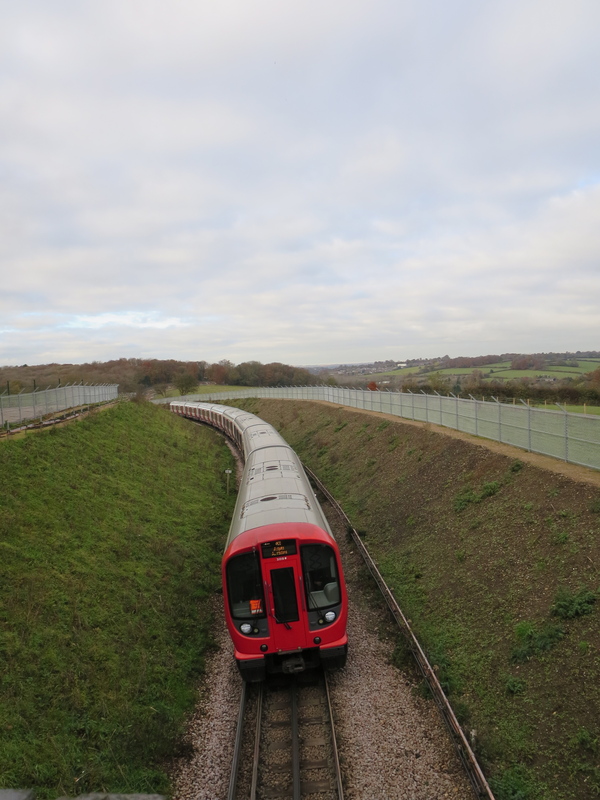 You arrive through a sequence of meadows and business estates, joining up with the mainline to Aylesbury just outside the station. Nowadays the Metropolitan trains continue on to central London, a far better service than the previous shuttle that ran this far and no further. And there’s more countryside to come, from the vast tracts of greenery outside Chorleywood to the congregation of trees at Moor Park. But none quite so agreeably sprawling as that through which you’ve just passed. You can go for miles and miles through London without ever getting bitten, stung or stepping into something. The same goes for the country – so long as you stay on the Underground. Love that photo of Chesham station. I’ll have to make a trip out there next summer and have a look for myself. Thanks for this series, I’ve really enjoyed reading it all. Cheers Richard. I feel the pressure mounting to come up with a show-stopping finale! Terry Scott was lucky. I was once stung by a wasp while travelling between Paddington and Kings Cross!